Staying productive in today’s digital age is challenging since data and information seems to be coming at us from all different angles. Most clever content marketers have already heard about or are already using Google Drive, Hootsuite, Trello and WordPress, but there are some other, lesser known online tools out there that are worthy of our consideration. 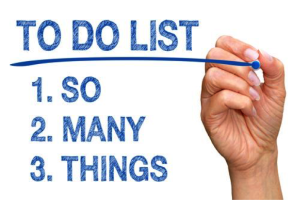 This online platform simplifies and prioritizes events in our day asking for us to list one big thing, three medium tasks and five small duties that need to be performed. This simple, finite list will help us to accomplish more and feel less overwhelmed. For those of us who are already using Google Calendar, you can add this feature onto your website and allow your clients to book appointments with you based on your availability. Accept, cancel, reschedule, or decline meetings directly from your calendar. You can sign up for free without a credit card and basic plans start at $10 per month. Use Boomerang with your Gmail account and you can schedule emails to be sent at the perfect time. Write your message as you normally would, hit “send later,” and your recipient will receive their email at a time that is best for them or you. There is a free basic plan and higher platforms start at $4.99 per month. BoostSuite is the co-marketing platform for small businesses. BoostSuite lets you promote your business through partners that already have the online audience you want for your company. You share your partner’s article on your website, and your partner promotes your article to their online audience. When you exchange content with partners in BoostSuite you’ll introduce your business to thousands of new customers, increase website traffic, and generate more sales from your website. As the name suggests, use this tool to obtain legally binding, electronic signatures from clients. The e-documents are accessible anytime and securely stored online. Get three signatures in a month at no cost and plans start at around $12 per month. Free for five users or less, HipChat offers private chat, messaging and file sharing between colleagues. Adding users at higher platforms with more integrations and unlimited storage costs $2 monthly. IFTTT boasts that they put the internet to work for you and their acronym stands for “If That, Then, This,” where if something occurs, it signals a task by using a “recipe.” For example, tell IFTTT that anytime someone says the phrase, “free online subscription,” on Twitter, this recipe signals an email message sent to your inbox. There is an unknown number of recipe combinations that can notify you about actions on other platforms, such as Facebook. 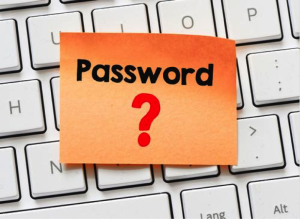 Tired of fumbling around trying to remember dozens of different passwords? KeePass keeps all this information secure in one database with either a single master key or master file. Everything is kept safe with secure encryption algorithms and is available at no cost. Nutshell manages updates from Citysquare, Facebook, Foursquare, LinkedIn, MySpace, Twitter, and YouTube and sends this information to your primary email address. Receive as many updates as you wish for free. Manage all your important LinkedIn contacts from just one location in your inbox. See their location, profile picture and information, even make notes and leave thoughts about shared interests on this free plugin. Shopify offers a free, online invoice generator that allow you to send, save and/or print these statements from your computer or smartphone. You can upload your company logo and deliver professional looking invoices to your clients from their site. Get free CRM (Customer Relationship Manager) tools inside your Gmail account. Use their mobile app to keep track of customers, make calls and send emails. They make their services available in different “flavors” to better customize your services, sales, support, hiring, and fund raising for example. Stay productive without being taken to the cleaners and try some of these tools for yourself and your small business.